I am an associate in Colliers International’s New Jersey Retail Group, and from my base in Parsippany, NJ, I assist local and national retailers in developing real estate strategies for the northern and central New Jersey markets. Among many other services I provide to clients, I research and identify strategic locations with supporting demographics, help navigate the site selection process in the current market environment, negotiate for space and successfully conclude real estate initiatives. I also represent property owners in developing and executing creative marketing programs and leasing retail space to the optimal tenants. I joined Colliers in 2017. Before that, I was the supervising manager at Sentra Construction Services where my responsibilities included project management, cost estimating, client relationship management, and document control and administration. In college, I interned as a leasing specialist at Roseland, a Mack-Cali Company. My responsibilities in that role included leasing apartments, resident relations and retention, and lease administration. Nancy Erickson joined Colliers International in 2016 as Executive Managing Director, with expertise in local, regional and national retail. As a seasoned industry professional, and has continued to establish herself as an expert in providing real estate and brokerage services on both the national and local levels. Her current focus is on retail and mixed use development, strategic planning, site selection, negotiation, acquisitions, renegotiation and dispositions of properties for national retailers, while building the Retail Team and tenant and agency portfolio. Nancy and her Retail Team are currently managing some of the most prominent Landlord assignments in the state, including Plaza at Harmon Meadow and Valley & Bloom in Montclair, along with numerous other retail buildings, campuses, and centers. Her extensive seasoned tenant experience comprises of managing exclusive and preferred retailers, and national representation roll-outs along with dispositions for major clients. As part of her continued success, Nancy travels with her clients nationally, assessing, mapping and reporting on all market tours to determine those properties to lease, buy or dispose of to align with their respective business plans. For Kool Smiles, she began at inception as their exclusive broker, and has continued to meet the steadily growing needs, which currently has more than 140 locations, along with serving an internal role for several months, leading the CRE. For ASAP Urgent Care, she worked with the founder in the northeast. For Hess, she disposed of dozens of underperforming locations. For School of Rock, Crunch Fitness and the others, Nancy has completed leases for dozens of locations (both corporate and franchise), and continues to help grow the brands. In fact, she is so integrated with the goals of her clients that she often represents her exclusives at the ICSC and other industry events. One of the specialties that Nancy and her team have perfected is working with the franchisee, assisting the corporate team to assure smooth growth. While at Cushman & Wakefield in 2004-2016, she grew the national retail portfolio and eventually built an outstanding New Jersey Retail Team during her last 4 years at the firm. 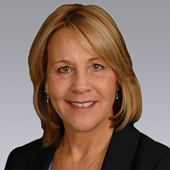 Nancy had served as a Senior Director in the Corporate Services group at GVA Williams. She also brings years of real estate knowledge and marketing experience in the design and construction industries, including positions at IA-Interior Architects; HLW International Architects; Tishman Realty and Construction; York Hunter; Morse Diesel International; Frederic R. Harris; and Edwards & Kelcey. Kelly Bayer joined Colliers International in 2016 as part of a select team of professionals charged with representing local and national retailers by aligning their business objectives with optimal occupancy solutions. Prior to joining Colliers, Kelly was an Associate at Cushman & Wakefield as part of the New Jersey Retail Team, in the area of strategic planning. Her work included analyzing demographic and psychographic data to identify viable market areas for new retail locations. Specific factors include pedestrian flow, traffic counts, occupancy cost analysis; and urban and suburban expansion considerations, among others. Kelly’s site selection and acquisition work includes the thorough evaluation and ranking of potential locations according to agreed-upon strategy and planning phase benchmarks and creating packages based on the research conducted. Along with site selection research, Kelly is involved with processing/tracking transaction documents and developing deadlines for all assignments to ensure projects are completed on time. Prior to joining Cushman & Wakefield, she worked at EnduroPacks out of NYC in Social Media/Content Marketing. Kelly previously completed internships at both Seton Hall University in West Orange, NJ and Mastro Communications in Warren, NJ.